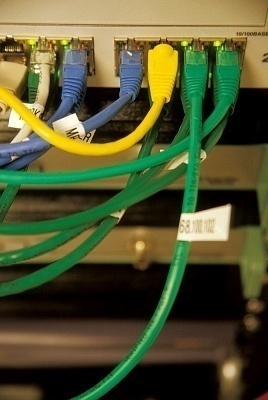 Whenever different networks connect with each other to communicate and to share the data and resources, it is called internetworking. 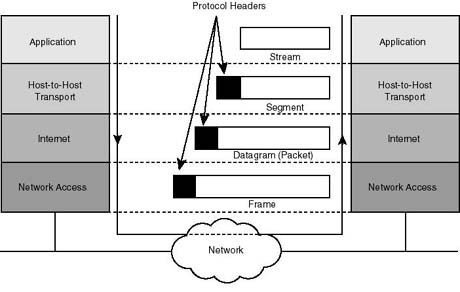 For internetworking, routers must be used on each network or at backbone to route the packets. Routers must learn the destinations that are not directly connected. For this purpose, routing must enabled on the routers. Routing uses a route that a network routing protocol adjusts automatically for topology or traffic changes. Routing protocols are used between routers to determine paths and maintain routing table. Once the path is determined a router can route a routed protocol like IP or IPX. RIP, IGRP, EIGRP and OSPF are the examples of routing protocol. What Routing Protocols are employed in a Network? The selection of routing protocol that is going to be employed in a network is based on the features and capabilities of that routing protocol. Each routing protocol has its own features and capabilities. A network administrator deploys the routing protocol that meets with the network requirements. Administrative distance: A trustworthy value that ranking the routes. Metric: Information used to select the best path for routing. Distance means how far and Vector means in which direction. Distance Vector routing protocols pass periodic copies of routing table to neighbour routers and accumulate distance vectors. In distance vector routing protocols, routers discover the best path to destination from each neighbour. The routing updates proceed step by step from router to router. There are two major differences between Distance Vector routing protocols and Link State routing protocols. Distance Vector exchanges the routing updates periodically whether the topology is change or not, this will maximize the convergence time which increases the chance of routing loops while the Link State routing protocols send triggered change based updates when there is a topology change. After initial flood, pass small event based triggered link state updates to all other routers. This will minimize the convergence time that&apos;s why there is no chance of routing loops. Secondly, the Distance Vector routing protocols rely on the information from their directly connected neighbours in order to calculate and accumulate route information. Distance Vector routing protocols require very little overhead as compared to Link State routing protocols as measured by memory and processor power while the Link State routing protocols do not rely solely on the information from the neighbours or adjacent router in order to calculate route information. Instead, Link State routing protocols have a system of databases that they use in order to calculate the best route to destinations in the network. An extra feature of Link State routing protocol is that they can detect media types along with other factors. This could increase the overhead as compare to Distance Vector routing protocols in order to measure by processor power and memory. Routing Information Protocol (RIP) and Interior Gateway Routing Protocol (IGRP) are the examples of Distance Vector routing protocols while the Open Shortest Path First (OSPF) is a classic example of Link State routing protocols. Distance Vector routing protocols are based on Bellma and Ford algorithms. Distance Vector routing protocols are less scalable such as RIP supports 16 hops and IGRP has a maximum of 100 hops. Distance Vector are classful routing protocols which means that there is no support of Variable Length Subnet Mask (VLSM) and Classless Inter Domain Routing (CIDR). Distance Vector routing protocols uses hop count and composite metric. Distance Vector routing protocols support dis-contiguous subnets. Link State routing protocols are based on Dijkstra algorithms. Link State routing protocols are very much scalable supports infinite hops. Link State routing protocols are classless which means that they support VLSM and CIDR. Cost is the metric of the Link State routing protocols. Link State routing protocols support contiguous subnets. For Distance Vector routing protocols such as RIP, IGRP as well as hybrid routing protocols with the characteristics of Distance Vector such as EIGRP while maintaining routing information, the routing loops have been occurred. It is because the Distance Vector routing protocols send periodic routing updates and each node maintain the distance from itself to each possible destination network, for this the convergence time of Distance Vector routing protocols is slow. Slow convergence produces inconsistent routing. When the topology of network changes and a network has gone down, the packets for the network bounce between routers and the hop count for specific network counts to infinity, the solution is split horizon. Split horizon follows the rule that it is never useful to send information about a route back in the direction from which the original packet came. Split horizon can be disabled for all Distance Vector routing protocols. he rule of split horizon can cause routing table update problems on a hub and spoke frame-relay topology. The rule of split horizon is applied at the network layer with Distance Vector routing protocols. 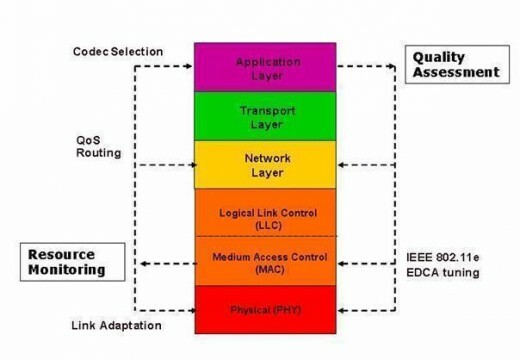 Distance Vector routing protocols have no awareness of the multi-connection and they do not know that routing information may arrive on one frame relay PVC on a physical interface and need to go out other PVCs on the same physical interface. Thank you very much for this nice article. It’s been explained very well. I suggest you to keep continue on this method of composing. i like this description. would you tell me more about networking? There are many more articles about networking in the Networking section. You can also check out its subcategories by hovering over Networking in the Main Menu on the right. Periodic Update is to transmit routing information after some specified period of time to update the network routers about the current route status. 189 queries in 0.308 seconds.